Description : Never forget your ideas again. Wirdea allows you to save them as you have them. 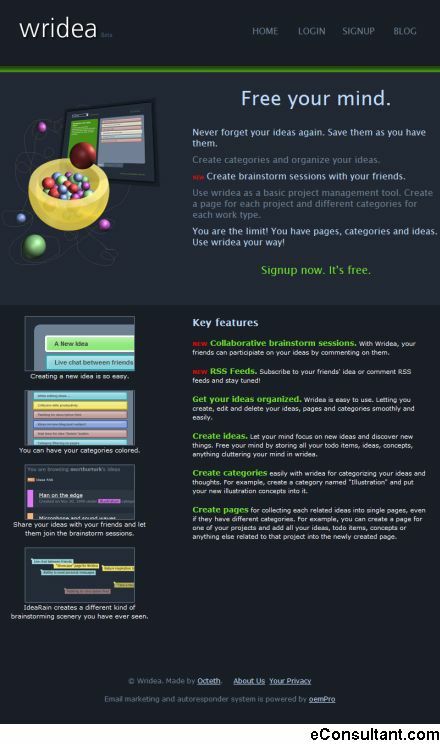 Create categories and organize your ideas. Create brainstorm sessions with your friends. Use wridea as a basic project management tool. Create a page for each project and different categories for each work type.